Customized Monthly Vitamin and Mineral Subscription from Care/of | Valet. 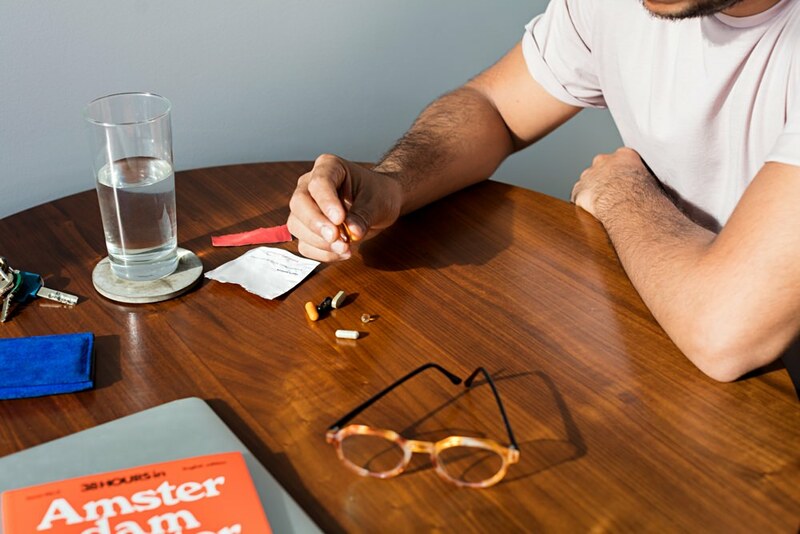 This modern start-up is tackling your personal health concerns with custom supplements. When it comes to vitamins and supplements, the biggest concern has to be lack of knowledge and transparency. Do I really need this? Does it really work? And where did this stuff actually come from? Head down the vitamin aisle at the store or stop into a health food shop and see if it doesn't feel a bit shady. That's the problem Care/of is trying to fix. 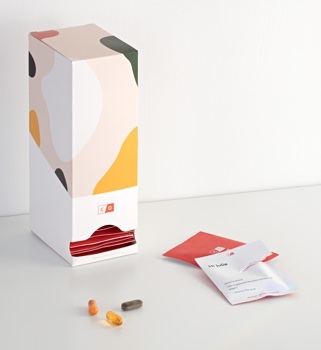 The startup recently launched with the help of doctors from Harvard and Tufts and provides supplements customized to your individual needs with an emphasis on quality and effectiveness. Here's how it works: Start by taking a simple five-minute survey. Instead of presenting you with an overwhelming amount of options and forcing you to figure out your own health regimen, they simply ask about your health history, goals and diet. I, for example, chose to focus on improving my stress management, brain health and digestive issues. My answers were then run through an algorithm, measuring my concerns and goals against years of peer-reviewed research and input from Care/of's scientific advisory board of medical professionals and academics. The end result? A customized cocktail of vitamins, minerals, herbs and probiotics. They're shipped right to your door in handy little personalized packs—perfect for traveling or if you prefer to take your supplements after a workout. I keep mine in my desk at work so I never forget to take them. The cost of a monthly box ultimately depends on what's in your custom pack, but most packs start around $20 per month, or less than a dollar a day. Not bad, especially for the quality of ingredients. That's the other thing that sets this apart. Care/of makes its own line of vitamins and supplements, all from the highest quality ingredients. The fish oil? From wild-caught Alaskan salmon. And the Bacopa, a supplement I'm taking for focus and mental clarity? It's sustainably grown at a pesticide-free farm in the plant's native home of India. All that info (and more) is available on their website. There's intel on every ingredient they offer—where it's from, along with an honest assessment of how it can help you. They even break down the research so it's easier to understand, highlighting how scientific research supports a supplement's proposed benefits, but also when the science is mixed. It's encouraging to see in an industry known for selling a lot of snake oil. Use code VALET to receive two weeks free (50% off a monthly plan) for your first month. 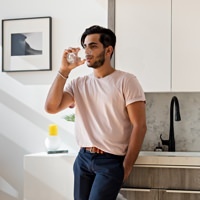 Nearly 1 in 10 people in the United States are deficient in B12, an important vitamin that keeps blood cells healthy and is used by the body to make DNA. Zinc is an essential mineral that benefits the immune system, playing a role in the function of over 300 critical enzymes, which help the immune system fight incoming infections. This adaptogenic herb, gaining popularity among the high-performing Silicon Valley set, is credited with supporting stamina and brain functions under prolonged stress. This antioxidant is harvested from algae. It's a powerful fighter of oxidative stress, meaning it's great for boosting short-term memory, athletic recovery and fighting signs of aging. Eat Carbs and Get a Six Pack?